When you listen to music as much as I do, you tend to get a LOT of recommendations and questions about what you listen to and what you’re interested in. There is a band that’s crossed my desk about half a dozen times now, each time by a new person—a couple of whom I know I can trust their music opinions. So here we go, diving head first into some new music today. Charlie Starr, Paul Jackson, Brit Turner and Richard Turner formed a band called Blackberry Smoke back in 2001. Based out of Atlanta, Georgia, they have released five studio albums with very modest success. Their third and highest-selling record has sold 51 thousand albums in the U.S.—probably not enough to catch the eye of any of the big guys. Where they’ve generated a major following is with their live shows. One friend told me about them after seeing them open for Zac Brown Band here in Madison, Wis. They’ve also opened for absolute rock icons like ZZ Top and Lynyrd Skynyrd, pretty good company. They’ve been with a couple smaller labels in the past, but recently started their own, 3 Legged Records—a strategy that may have worked, since their latest release landed at #1 on the U.S. Billboard Country chart, as well as the Americana/Folk chart. Getting into it, their most recent release is titled Like An Arrow and debuted in October of 2016. According to lead singer Starr, they had no intention of putting out new music, but began practicing a few new tracks he had written in early 2016. They headed up the road to Quarry Studios in Atlanta and started recording. Producing it themselves, they had total freedom to have it sound however they wanted. The last song on the record features a duet with Gregg Allman, who was one of the inspirations for starting the band 16 years ago. Choosing to truly keep everything in house, Brit Turner (drummer) designed the album artwork. The low sales and high charting is quite an anomaly for me—I’m not sure I’ve ever seen that before. But the critical reviews are generally positive for the record, with most sites offering a 4/5 starts type rating. Immediately when I put this album on, track one starts with this hard guitar open, and boy, I feel like I’m in for some real rock standards. As the album continues, you get a bit more into the country and southern folk feel. You can hear the Allman Brothers type influence in their music, but it’s probably more Black Crowes than Skynyrd—at least on this album. There are a few Sunday afternoon, sittin’ on the porch in your rocking chair ballads, which was a nice surprise after track one. The album feels modern, yet traditional; southern, yet geographically expansive; and raw, yet polished. It’s one that I think I’ll need to listen to three or four times before really knowing what it is, but on the surface, I enjoyed it. It reminds me of a more laid back version of one of my favorite current rock bands, The Black Keys. Basically, if you enjoy any of the various bands I’ve mentioned now in comparison, I think you’ll like this album. Listening to new music can be an anxious thing—if you don’t like a recommendation, how do you break it to your buddy? 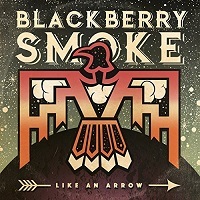 I’m happy to write today that isn’t the case, and I definitely understand the buzz around Blackberry Smoke. If like me, you’ve never heard these guys before, give them a shot. Cheap is the best way to experience new. TDS Telecom to improve broadband in Craig County, Va.
Nice review. I have been hearing a lot about this band from friends and they have also opened for one of my favorites Gov’t Mule (Warren Haynes, former Allman Brothers guitarist). Thanks Erik – they’re definitely worth checking out. I plan on getting to their earlier stuff in the near future too. Good call on Gov’t Mule, solid band!